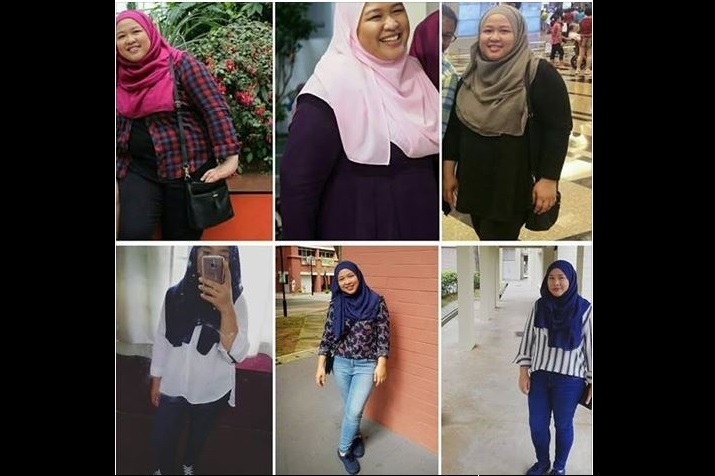 You are at:Home»Entertainment»NETIZEN SHARES HOW SHE LOST 40KG IN TWO YEARS! So how I gained that much weight from 55kg at 22 years old to 113kg at 28 years old??? Wtheck i’ve been doing wrong? Basically my BAD lifestyle of having supper daily, 😋 eating mcdonalds 3-5 times a week and sleep at 3-5am every day 😴, a can of COKE for breakfast and eating portion for 2 for each meal. I confess that I 🖤 🖤 🖤 LOVE RICE because I melayu, omg NASI AMBENG panas2 kan! and FRIED FOOD and COKE! So how i lost 40kgs in 2 years? No 1. Because theres a period im out of breath that i feel like dying, serious! Hope my tips works for you who want to lose some weight. INSYAALLAH. 1. PLAIN WATER 🥛gonna be ur new bestfriend. Its ok to treat urself once a while like MAX twice a week but avoid gassy drinks ok. But i eat SMALLER portion. Breakfast and lunch so important to me, but i will switch to red apples 🍎 for dinner most of the time. AND reduce DESSERT,ICE CREAMS and CANDIES ❌ 🍭 🍫 🍰 🍦. If possible dont eat it. If cannot tahan, treat urself a small serving MAX two times a week. Atleast 30 mins a day. It will help to shed those fats faster. You will be surprise how much sweat that come out from your body. Its easy, just browse thru youtube and start learning some new choreography. And u know bike sharing OFO? 🚴‍♀️ I ride bike for every short distance whenever i can like atleast 5 times a week. Just to keep myself on track. Especially after festive and wedding season coz that is the period i will eat the most. 6. Discipline and mental must be strong. Dont give up, NEVER give up. 2 months to lose 40kgs. You must enjoy the new lifestyle and STOP 🚫 comparing your progress with others because every BODY is different. Ultimately you must feel good and happy with the changes. Its not how fast u can lose the kgs..
Its how long u can maintain losing it. Another thing that i did is to keep looking at old photos to see my progress, it keeps me happy to see the changes and motivates me to stay healthy and keep losing weight to hit my healthy weight goal! Feel free to Share your tips and weight loss journey with me! Previous ArticleJOBSEEKER LOOKING TO WORK AT THE EAST TAKE NOTE! JOB FAIR HAPPENING AT BEDOK!